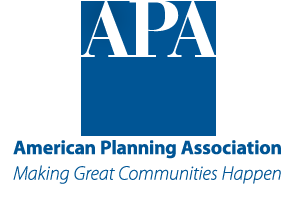 The Healthy Planning Leadership Series of webinars will cover healthy food systems planning on November 10, 2016. This webinar will highlight the opportunities within land use planning to simultaneously plan for and address Healthy Food Systems- Particularly important with SB1000, new California legislation that requires local jurisdictions to address food access for disadvantaged communities. -Use data to understand the needs of a community. This activity has been planned and implemented in accordance with the Essential Areas and policies of the Institute for Medical Quality/California Medical Association (IMQ/CMA) through the joint providership of The Health Officers Association of California (HOAC) and the American Planning Association. HOAC is accredited by the Institute for Medical Quality/California Medical Association (IMQ/CMA) to provide continuing medical education for physicians. HOAC designates this webinar for a maximum of 1 AMA PRA Category 1 Credit. Physicians should claim only the credit commensurate with the extent of their participation in the activity.